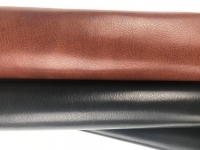 Sole Bends 4.5/6mm thick sizing is approx 60cm x 100cm as this is very compressed thick leather it is hard to gauge and all pieces are different. 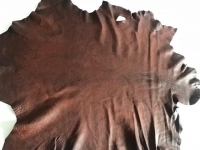 Goat skin vegtan polished skins. Sizes vary from 5-8sq ft Beautiful natural polished skin and soft to touch.